We offer you to download 3d models of decorative elements for SketchUp. 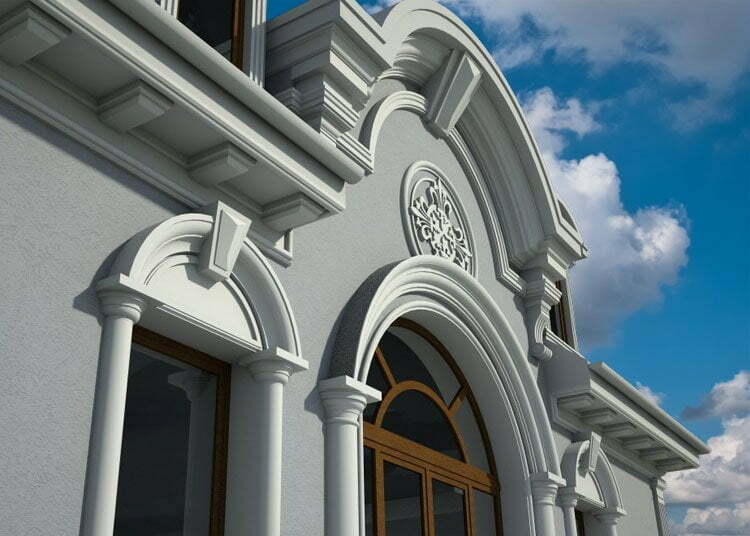 With 14 years of experience in the design, production and installation of architectural stucco, we have created the most practical and applicable library 3d models of stucco for outdoor decoration of the house. 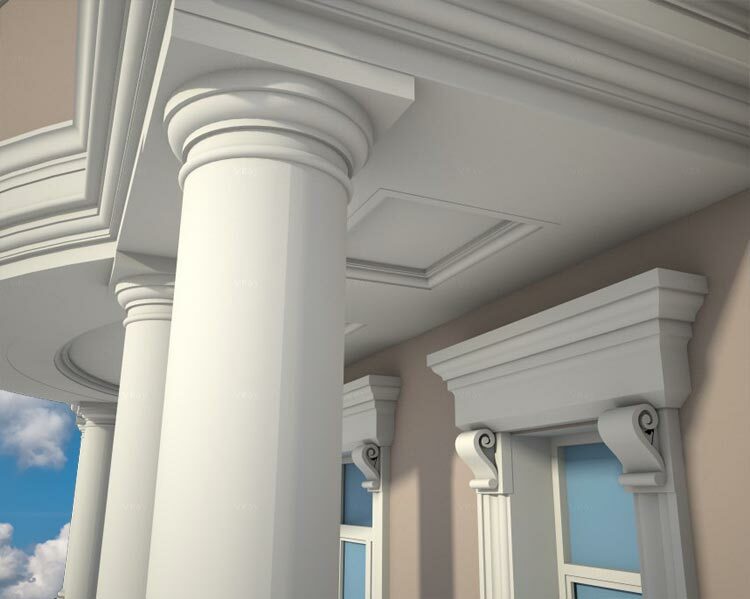 The moldings library is compatible only with SketchUp 2013 version. It is applied using the Profile Builder plugin. The piece library is provided as separate files for import into the project. 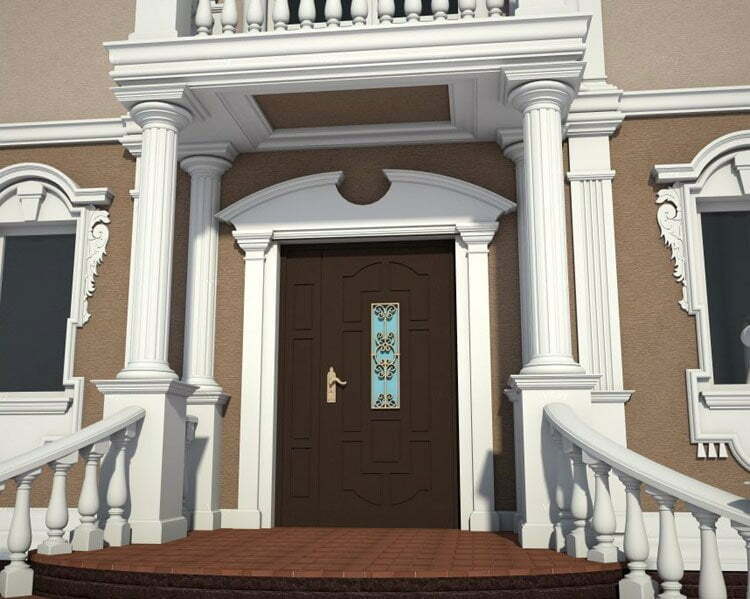 With the help of our library of stucco decoration for SketchUp, you can easily create for your customer realistic 3D images of the facades of houses with the use of facade decor. The process of applying library items is as simple and fast as possible. Any 3d model you can easily scale, change proportions and sizes. From our experience, we can say that SketchUp and the Profile Builder plug-in for it are the best and most practical means of creating realistic photo work on the facade of a house. Elements: cornices, moldings, window sills, etc. are in a single file – a container that opens with the help of the Profile Builder plugin. Piece details of the design of the walls outside the house are stored in separate files that you simply import into your project and scale to fit your needs. If you are interested in our library – send a request and we will let you know the conditions of purchase.